In certain areas of northern Vietnam the phone signal leaves something to be desired, namely, its presence. Of course, this seemed immaterial when I heard that Slavoj Žižek was available to interview on the day of my departure. 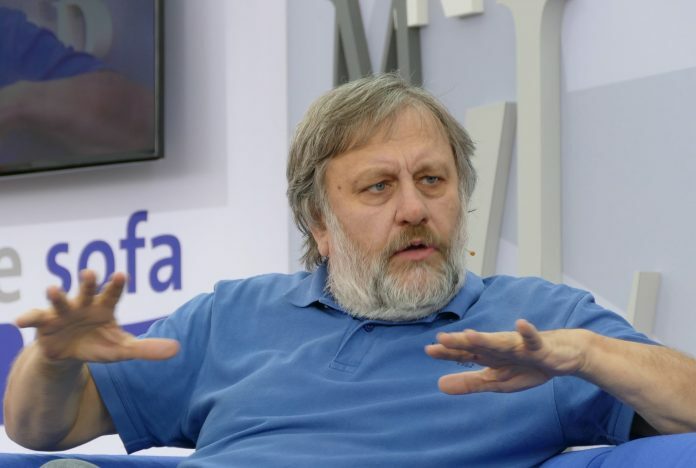 And so it was that I was at Hanoi International Airport, taxiing down the runway, writing frantic notes on loose sheets of paper as Slavoj Žižek shouted at me down the phone about Donald Trump. “The signal is very bad”, Slavoj observed, as an airhostess tapped aggressively on the no-mobile sign in front of my face; “Yes, it is”, I agreed in a suitably breezy manner. Slavoj, it is worth pointing out, once gave an entire interview while sat on the toilet, a strategy I myself briefly considered as the plane gained speed, before agreeing with him that it was probably best to resume speaking the next day.